BEA provided the surveying for a 12 mile long corridor that follows an existing water main in the City of Asheville. BEA worked in collaboration with Brown & Caldwell Engineering out of Charlotte. 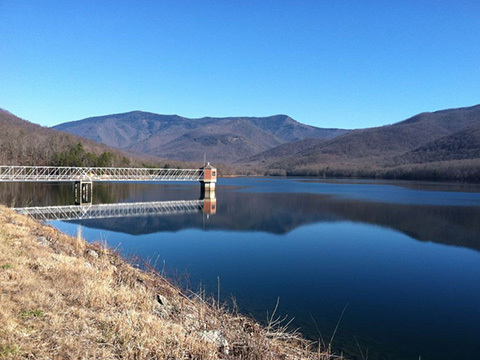 BEA was tasked with provided strip topo, deed research, property corner locations, and utility locations along the path of the water line from the North Fork Reservoir all the way to Downtown Asheville. The main runs through a variety of terrain including rocky and mountainous areas to urban street areas.